Hamburg. Green Party leader Jem Ozdemir sees the Winter Olympics in Sochi for Russian Federation (RF) as an opportunity to draw closer to Circassians. «It would be nice if local organizations during the event would introduce Circassian culture» - stated Ozdemir, who himself is of the Circassian origin. He stated this on Thursday in Hamburg on the occasion of celebration of exhibition grand opening named «The Circassians from the Caucasus dispelled around the world» held at the Ethnographic Museum. Coordinating Council of Civic Forum EU – Russia (a coalition of non-governmental organizations in Russia and the European Union) issued a statement in which it demanded to stop the police action and the prosecution of Environmental Watch activists on North Caucasus due to the upcoming Winter Olympics in Sochi. The document lists the facts of pressure on activists from EcoWatch that have taken place recently. 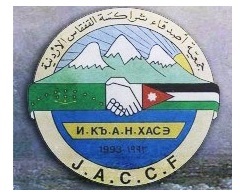 Members of the Circassian Nationalist Movement(CNM) affirm their adherence to the Olympic Movement's charter, appreciate its goals and missions, which are summarized as follow: «The Olympic Charter exalts a philosophy of life that seeks to use sport to communicate positive values of peace and understanding between nations and individuals» Olympism is a philosophy of life exalting and combining in a balanced whole the qualities of body, will and mind. The «Circassian Parliament», an organization that speaks on behalf of the more than 5 million Circassians living outside of the North Caucasus, says that it is «100 percent» certain that Moscow is preparing «a bloody crime» around the Sochi Olympics to distract attention from its own violation of the rights of Circassians and other nationalities and to «undermine the Circassian movement». Circassian groups oppose the 2014 Winter Olympiad in Sochi and continues to seek international recognition for the «genocide». With Shamil’s capture, Russia could revert back to the conquest of the Western Caucasus and its indigenous inhabitants, the Circassian and the Abkhaz tribes who resided in the littoral areas of the Black Sea—the same area where the 2014 Sochi Olympics will be held next February, and the location of the battlefield of Krasnaya Polyana, the final battle of Circassian resistance against Tsarist Russia’s imperial advance southward. Circassia was a small independent nation on the northeastern shore of the Black Sea. 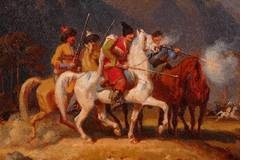 For no reason other than ethnic hatred, over the course of hundreds of raids the Russians drove the Circassians from their homeland and deported them to the Ottoman Empire. At least 600,000 people lost their lives to massacre, starvation, and the elements while hundreds of thousands more were forced to leave their homeland. 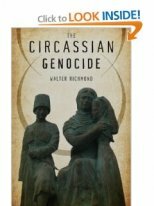 By 1864, three-fourths of the population was annihilated, and the Circassians had become one of the first stateless peoples in modern history. The principles of humanism and a tribute to ashes of the innocent victims require recognition and condemnation of the genocide of the Adyghe (Circassian) people committed by tsarist autocracy during the Caucasian War and consequently its effects. 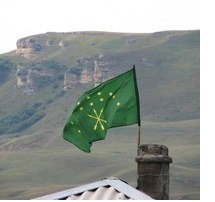 Only the corresponding moral assessment of the highest representative body of the state can become the basis for prevailing historical justice with respect to the Adyghe (Circassian) people. Yesterday, April 11, in the village Panahes in Adygea, to where, mostly resettled compatriots from Syria, held a seminar on the organization of private farms. Specialists from the Ministry of Agriculture told the Syrian Circassians about from what to start, the mechanism of providing financial assistance in the form of subsidies for the creation of private farms, how to participate for those who want to start their own business. After the success of the blessed efforts that Diaspora Circassians exerted ​​ at the places of their presence, in particular Turkey’s Circassians to transport and accommodate a group of Circassian Syrian families which were forced to leave their places of residence as a result of the war continuing in Syria for more than two years now, by transporting them by airplane from Beirut to Turkey and house them in a housing complex allocated for them which was established with support provided by the Turkish government. Circassian immigrants from Syria: "We are not afraid of any work"
We met with repatriate from Syria Muhammad Qanoqwa and his family - his wife Dumyani, five-year Mazin and three-year Rudd - in the courtyard of the hotel "Dzhaylyk." In the Republic, he came a year and three months ago at the invitation of the NGO "Peryt", which assists in the repatriation of compatriots. He was among the first to come back to the homeland to save his family from the horrors of war: "Our house in the village near Aleppo Hanosyr got bombed".